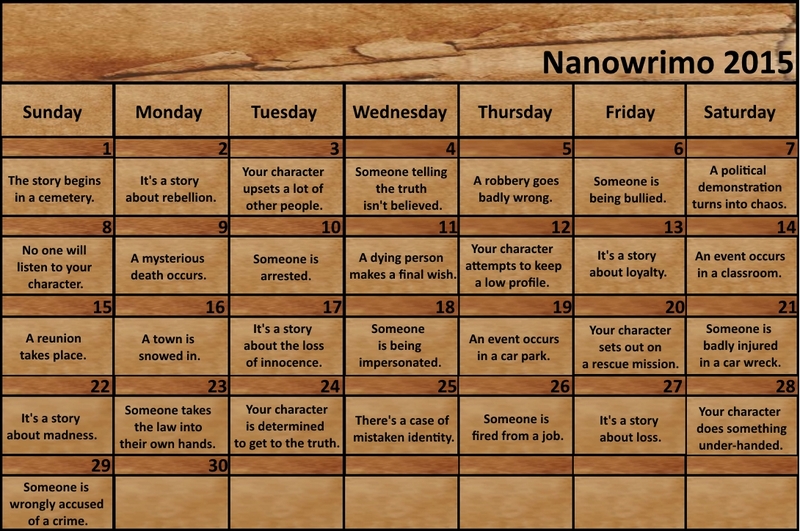 National Novel Writing Month—affectionately called NaNoWriMo by its users—is an international writing event. It was started in San Francisco the summer of 1999 and has grown exponentially since then to become a nonprofit organization promoting literacy and encouraging children and teens to write through the Young Writer’s Program. Anyone can make an account and it’s free to participate. All you have to do is sign in to the website, create your novel with a title and a short synopsis, and then write! You can update your word count every day to compare your progress—the daily goal is to write approximately 1,667 words while the overall aim is to write a 50,000 word novel. For added fun, you can find a word count widget to broadcast your progress or a prompt calendar when you run out of ideas. On the website when joining a home region you can find get-togethers of other writers, usually called Write-Ins. Typically held in a coffee shop, book store, or library, you join a group of others from your area and spend a few hours writing together. For more information go to www.nanowrimo.org. Tags: 1st, 2015, literary, Month, NaNoWriMo, National, National Novel Writing Month, Novel, November, Office of Letters and Light, Sharon Levy, writer, writing. Bookmark the permalink.